Encouraging Your Parent to Use Their Vision Corrective Devices Consistently - All Care Hawaii. LLC. Dealing with low vision as they age can be frustrating and upsetting to your aging parents, but it can also put them in dangerous situations. As a family caregiver, you can help your aging loved one reduce the negative impact of low vision in their lives by encouraging them to use their vision corrective devices consistently. Regular use of these devices enables your parents to improve their function and even protect their future eye health as well as their safety. -Make sure that the devices are as effective as possible. Prescriptions can change rapidly, which makes it extremely important that your parent visits the eye doctor once a year at least to make sure that their prescription is kept up to date. This will make the devices as beneficial as possible. -If your parent is resistant to wearing their glasses, ask them if they are uncomfortable. Glasses that are too tight, too loose, uneven, or otherwise do not fit properly can be extremely uncomfortable and even painful, which can discourage your parent to wear them. If their glasses are uncomfortable, bring them back to the eye doctor or store where you bought them and asked for them to be adjusted. -If your parent is accustomed to wearing contacts but you have noticed they’re not wearing them as often, it may be due to issues such as dry eyes or difficulties getting the contacts into their eyes as caused by arthritis or loss of range of motion. If this is the case, encourage them to start wearing glasses. -If your parent tends to put their glasses down and then not pick them back up or forget where they put them, encourage them to put their glasses on a chain that they can wear around their neck. This way when they take their glasses off, they are still hanging around their neck and easily accessible for the next time they need to use them. -If wearing contacts or glasses is new to your parent and they do not feel comfortable in them, encourage them to wear them frequently throughout the day. Even if they are doing something that they do not feel that they need them, they should still wear them. This will get them accustomed to wearing them often and also to the effect of the corrective device. Continuing to function without their devices means that they are trying to do tasks without accurate vision, and encouraging them to use their devices will make these task easier, which can then encourage your parent to use their devices more often. Starting home care for your aging parent can be an exceptional way to boost their quality of life, support better physical, mental, and emotional health, and encourage them to live a lifestyle that is active and fulfilling as they age in place. 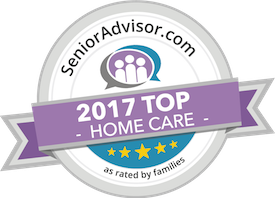 An in-home senior care services provider can be there with your parent on a customized schedule to ensure that your loved one is getting all of the care, support, and assistance that they need, while also encouraging them to maintain as much independence and engagement as possible throughout their later years. This can include safe and reliable transportation, assistance with personal care needs such as grooming and bathing, meal preparation, mobility assistance, and companionship. Knowing your parent has this type of care will ease your stress and allow you to focus your energy and attention more effectively and efficiently throughout your care journey. Have questions about hiring a caregiver in Waikiki, HI? Contact the caring staff at All Care Hawaii today.